Spaulding Youth Center is proud to announce a generous educational advancement investment so that its staff could pursue professional development. The nonprofit is proud to offer employees the opportunity to apply for financial support from the Lou and Lutza Smith Educational Fund, which provides grants restricted specifically to Spaulding employees’ professional development. Approved funds can be used for tuition reimbursement for a wide variety of educational courses, including College for America. 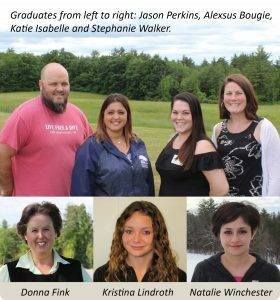 Offered by select employers, the College for America program offers industry-leading competency-based programs built specifically to serve working adults and contributes toward an advanced degree from Southern New Hampshire University (SNHU). In addition to the professional development support available through this fund as well as monies allocated in the operational budget, Spaulding Youth Center offers a full suite of generous employee benefits and training. To learn more about current opportunities at Spaulding Youth Center, visit http://www.spauldingyouthcenter.org/careers/.